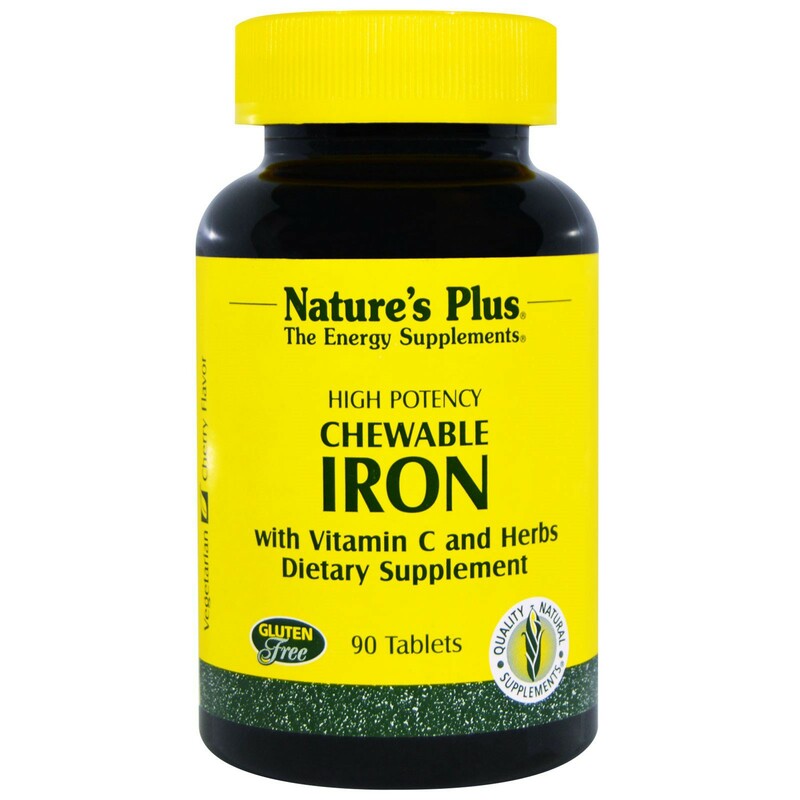 Nature's Plus introduces the first and only Chewable Iron supplement with Vitamin C, plus a special blend of herbs and natural flavors. 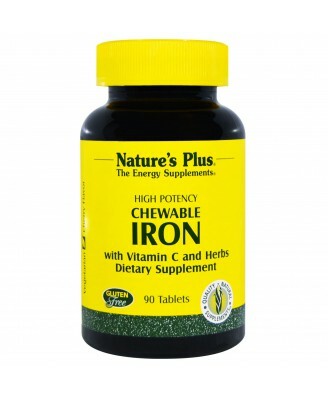 In a natural base of beet root, raspberry leaves and rose hips. 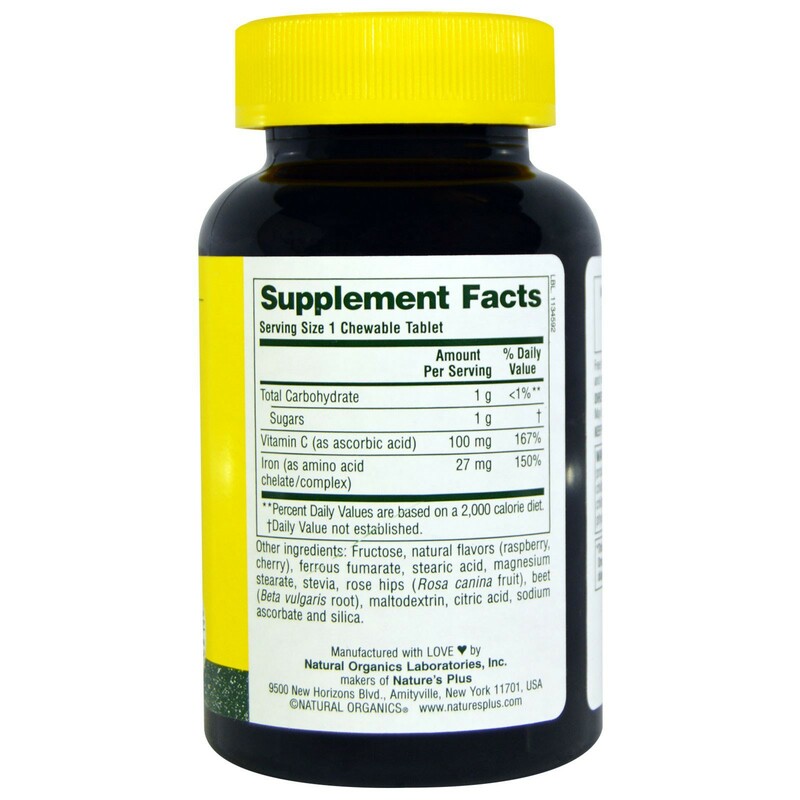 Fructose, natural flavors (raspberry, cherry), ferrous fumarate, stearic acid, magnesium stearate, stevia, rose hips (rosa canina fruit), beet (beta vulgaris root), maltodextrin, citric acid, sodium ascorbate and silica.